If summer is a time for quietly experimental survey shows, September is blockbuster season. This fall, Baltimore is exploding with ambitious art exhibitions that are well worth your time and energy. From artist-run spaces to colleges to commercial galleries, there are a number of fantastic exhibitions to see, artist talks to attend, intellectual arguments to be initiated, art to be purchased, and plenty of box wine to drink in tiny plastic cups. 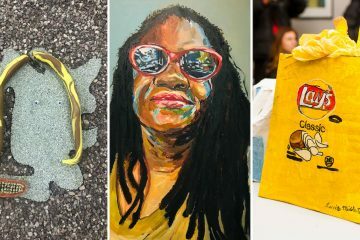 The Thing is Close exhibits the pairing of prolific Baltimore-based artists Cindy Cheng and Jackie Milad. Cheng creates complex sculptural constructions and installations that draw reference from the carefully choreographed rooms of her parents’ house in Hong Kong. Jackie Milad’s works on paper present the complexities of identity-making for people of mixed-race and ethnic backgrounds. 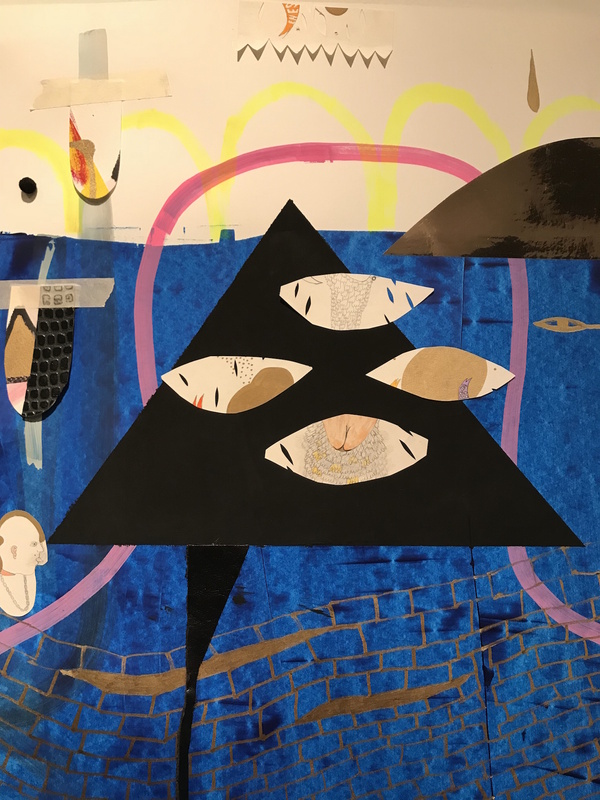 Her work constructs a new visual language—a mash-up of actual and invented symbols associated with her Egyptian and Honduran immigrant background and family history. 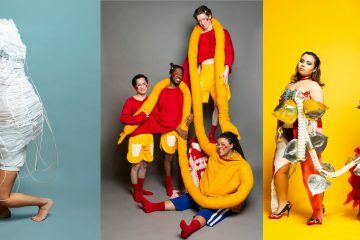 Cara: This is a powerhouse show just bursting with color, texture, energy, and a certain feminine weirdness. 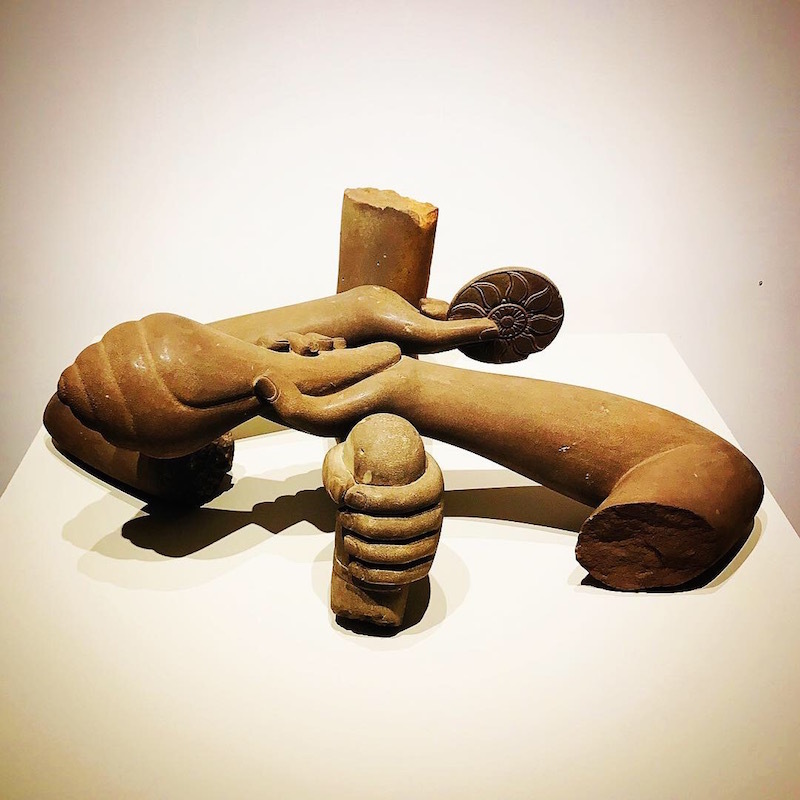 There’s a sense of humor and a lithe beauty coiled up in both Milad’s and Cheng’s constructions, and also a sense of destructive natural forces. These sculptures and works on paper are flirtatious and ballsy; they dare you, just a little bit, to fall in love with them. When you move in for a closer look, they flip your expectations and poke you in the eye, but in the nicest way. Bret: Suggested alternate title: Say it Loud, I’m Not a White Dude and I’m Proud. Cheng and Milad’s Close offers the sneakiest, fiercest exploration of identities that don’t merely resist census box check marks but celebrate the basic fact that a 21st-century American is a patchwork of evolving ideas and histories. Bonus: some of the new work they’ve produced here—Milad’s triptych of gold chains; Cheng’s cube of mini-blinds with sound—are as visually drop dead rich as they are wicked smart. Unintended Consequences (Members Gallery) A solo exhibition of works by Bill Schmidt and Revealuxion (Project Space) A Multi-media installation by Kieun Kim. 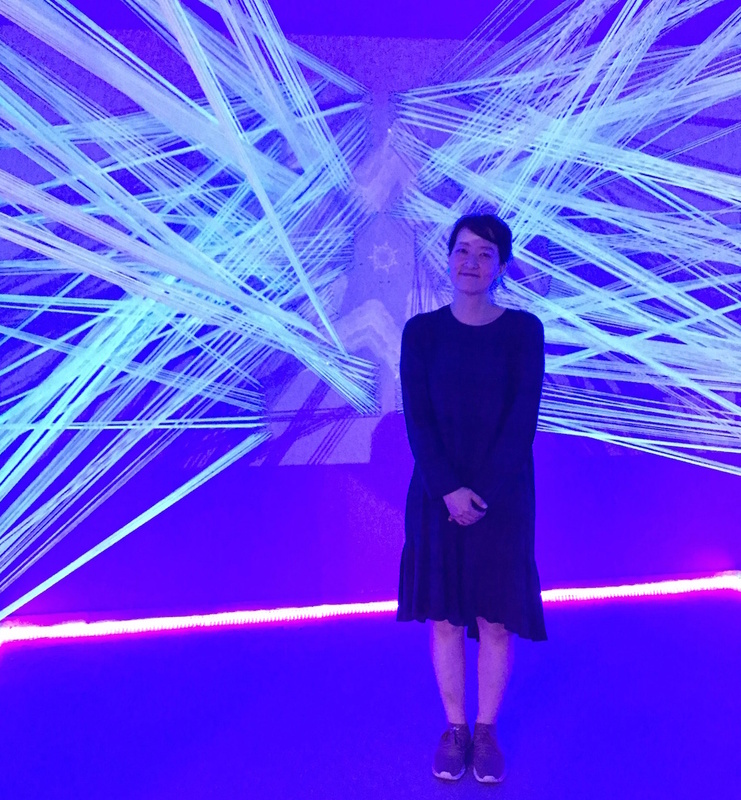 Bret: Kim’s “Revealuxion,” a gorgeously installed web of video and dayglow calm, is the closest that the mindfulness-adverse among us may ever get to a meditative state. 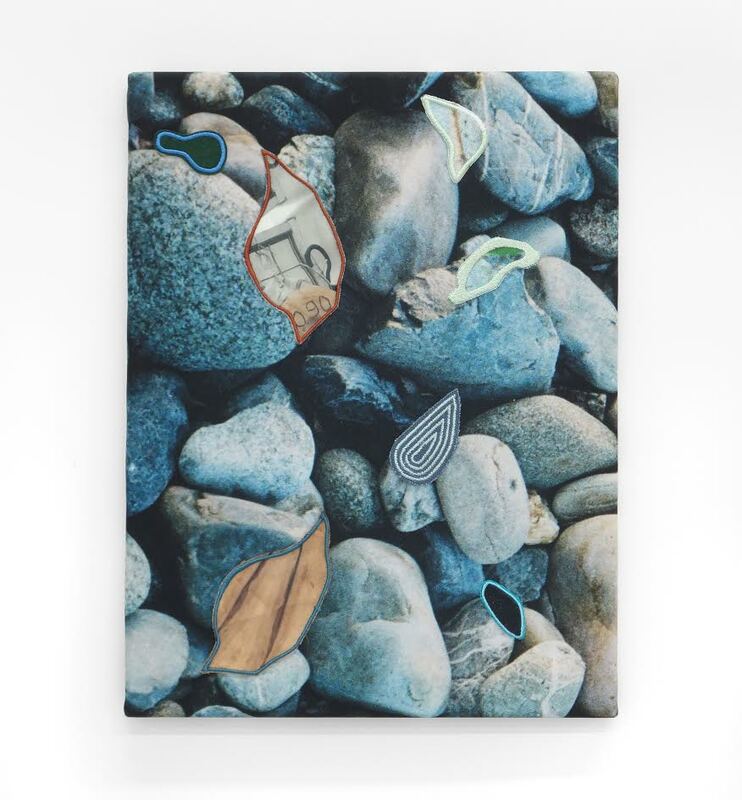 Cara: Bill Schmidt’s tiny geometric abstractions are brimming with gemlike layers and textures. They look waaaaay better in person than in a photo, a serious litmus test (for me anyway) of good painting. Floating on Mended Boats is an exhibition of small acrylic paintings and photographs made by Seth Adelsberger while on Tilleard Projects’ artist residency in Lamu Island, Kenya during August 2018. 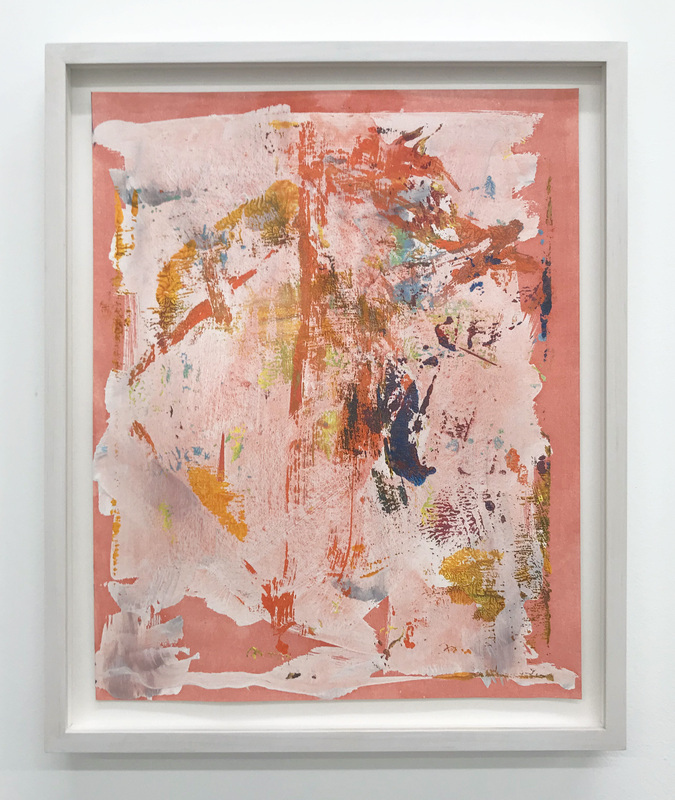 The paintings expand Adelsberger’s process oriented approach to abstraction, incorporating an broadened range of color, new paint blotting and transfer techniques, and the use of painted and collaged pieces of found concrete sacks. The work is in response to living in close proximity with the water, Lamu’s boat culture, and the textured weathering of ancient painted walls and boats in the process of being repaired. 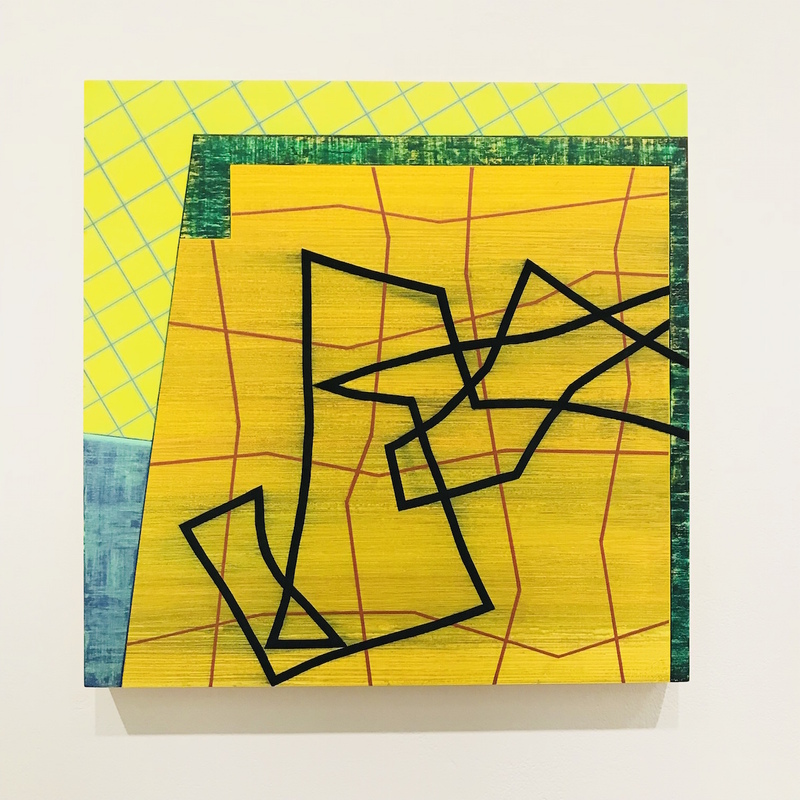 Bret: Boats is a refreshing peak at the possible next evolution of Adelsberger’s paintings, which witnessed a quantum leap in his 2013 Surface Treatment show at Springsteen. 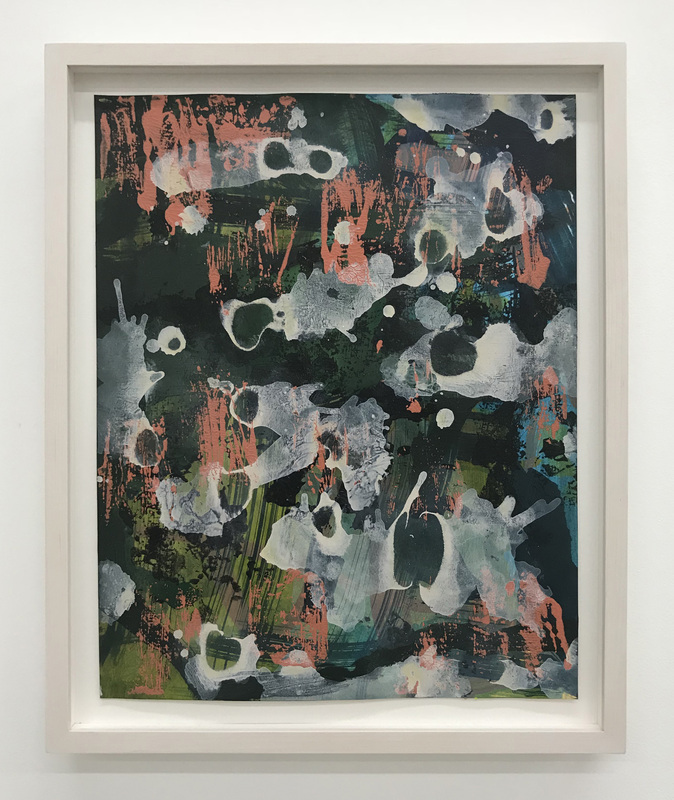 His prints here, especially, add a weathered, barnacled element to his densely layered vocabulary, and when–or if–he decides to translates these smaller, study-sized pieces to large format works, watch out. 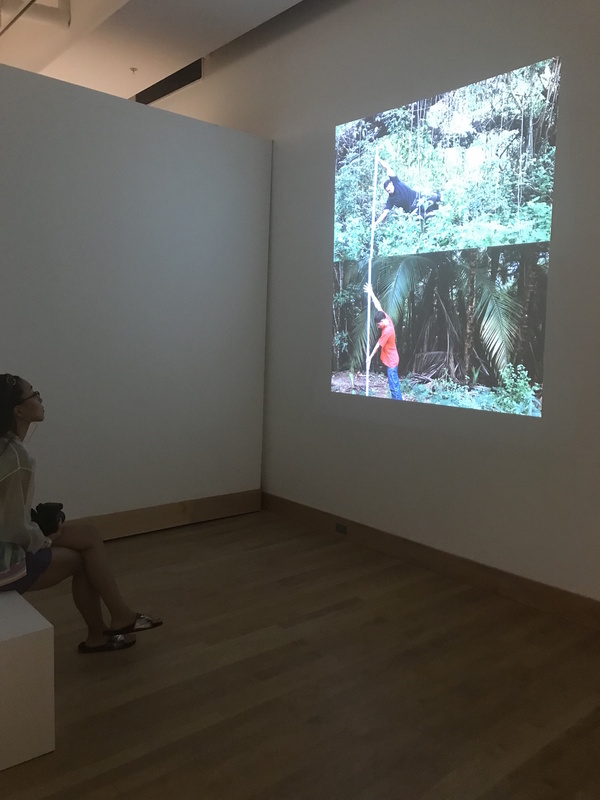 The other show at Current – Survival Bias – features Brittany De Nigris and Adam Milner and uses extractions, fragments, impressions, traces and recordings to investigate how the immediate present is structured. Things that define their own what, where and when, are in fact the accumulation of more than one subject, place and time. 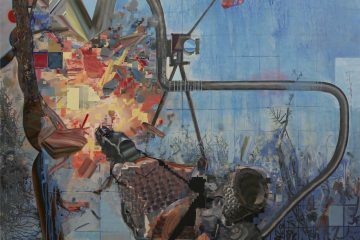 Each artist employs distinctive tactics to create compositions or arrangements that reference notions of the everyday and deep time interacting in the same space. Survival bias, or survivorship bias, is a term which points to the fact that some artifacts last longer than others, creating an inaccurate perception of the past. This is an art exhibition about the importance of speaking your mind and uplifting those that are not given opportunities to advocate for themselves. This will be the first east coast solo exhibition of Joaquin Esteban Jutt, a platform to utilize his art as advocacy for the voiceless. Cara: Neither of us have seen this exhibit yet (we are sorry! ), but we wanted to include it on our list. 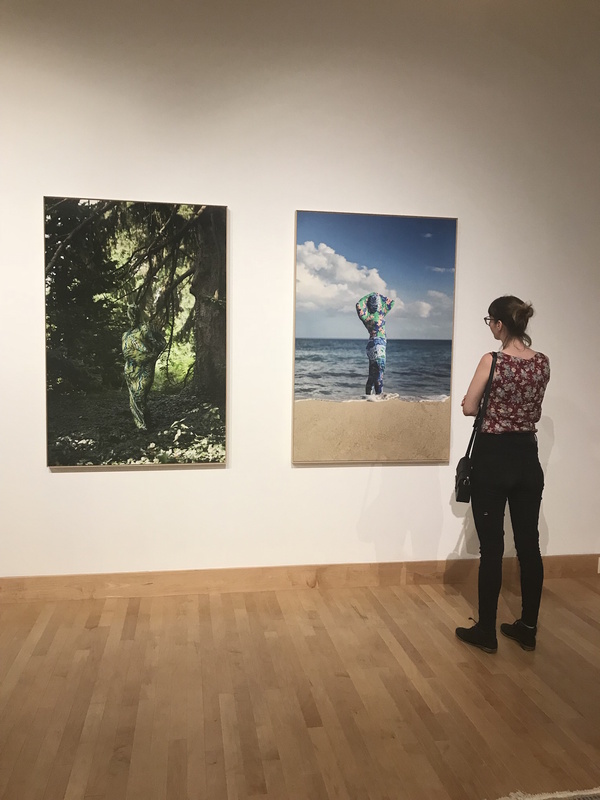 From the photos we have seen and the programming accompanying the show, it looks like an ambitious and challenging exhibit at the still relatively new Waller Gallery. 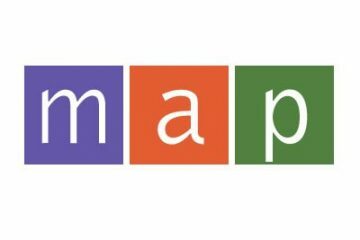 You can still catch the upcoming September 29 All Ages Zine Making workshop with the artist and we are putting their October 5 Closing Event (1-7 pm with cocktails and bites) on our schedule! You had us at cocktails. 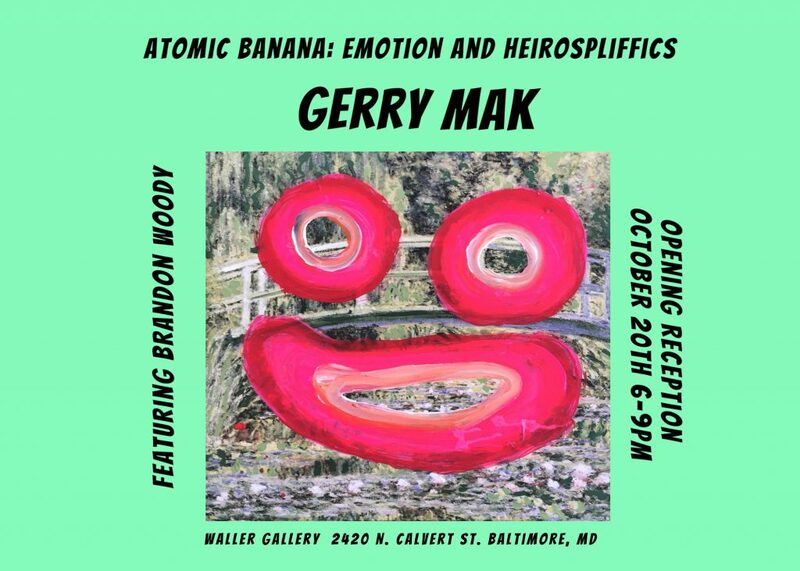 Atomic Banana: Emotion and Heirospliffics (October 20th- December 1st, 2018) is the artist Gerry Mak’s exploration of symbols, the emotion of art practice, and the age of information overload. 8000 York Road | Towson, MD 21252 Guest curator Jackie Milad explores the theme of “paradise” and what lies beyond the typical postcard representations of Puerto Rico and the Dominican Republic, examining these nations as complex societies struggling to assert economic independence, political autonomy and environmental justice. 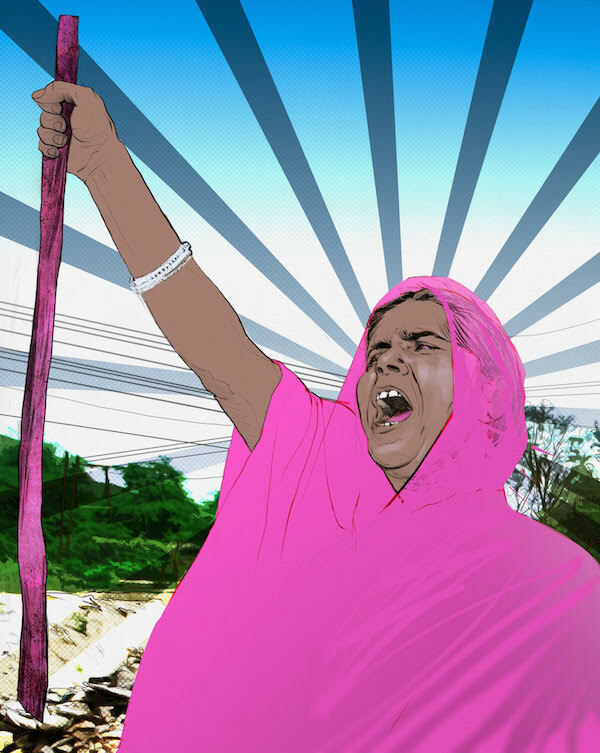 Artists: Hector Arce-Espasas, ALLORA & CALZADILLA, Pablo Guardiola, Alejandro Guzmán, Joiri Minaya, Raquel Paiewonsky, Eric Rivera Barbeito, Monica Rodriguez, Edward-Victor Sanchez, Gabriela Salazar, Edra Soto, Rafael Vargas Bernard, and Anabel Vázquez Rodriguez. Cara: I have a love/hate relationship with tropical resorts. This exhibit puts you in the hands of those who live on such “paradise” islands and shows you, from a insider’s perspective, what is truly magnificent and special about such places as well as what you miss when you approach them with tourist mentality. The range of materials and ambition in this show, as well as a roster of excellent Latino artists culled from across the planet is truly inspiring. 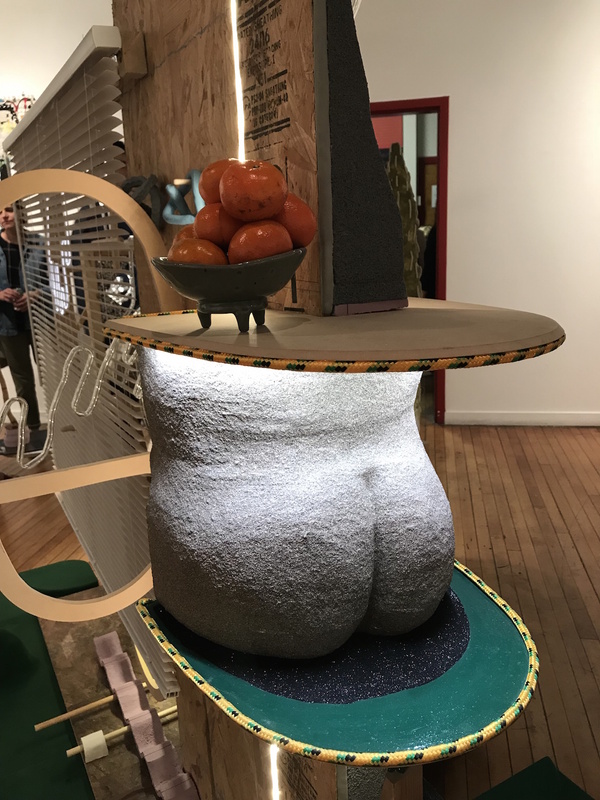 This show’s strength is in its video and sculpture, which is integrated seamlessly into the gallery and veers from the wickedly absurd to the poignantly beautiful. Raquel Paiwonsky’s video piece “Isópolis” – depicting a surreal marching band of walking phallusses (or giant hats) worn by humans naked from the waist down – is a favorite! Bret: Much like Milad’s work at School 33 right now, the works she curates here are explicitly politically while completely avoiding obviousness and histrionics. Many works here—Monica Rodriguez’s drawings of late 19th-century newspaper articles about the U.S. invasion of Puerto Rico; Gabriela Salazar’s coffee-clay sculptures; Joiri Minaya’s video about a private, cruise-line owned beach resort on Haiti; Raquel Paiewonsky’s arrestingly surreal, nature-filmish video “Isópolis”—simmer with the mixture of rage, sadness, and insurgency that comes with accurately recognizing tourism as colonialism latest round of cultural and economic exploitation. The four artists in Aurelia present work that investigates structure, support and layers as autonomous objects. 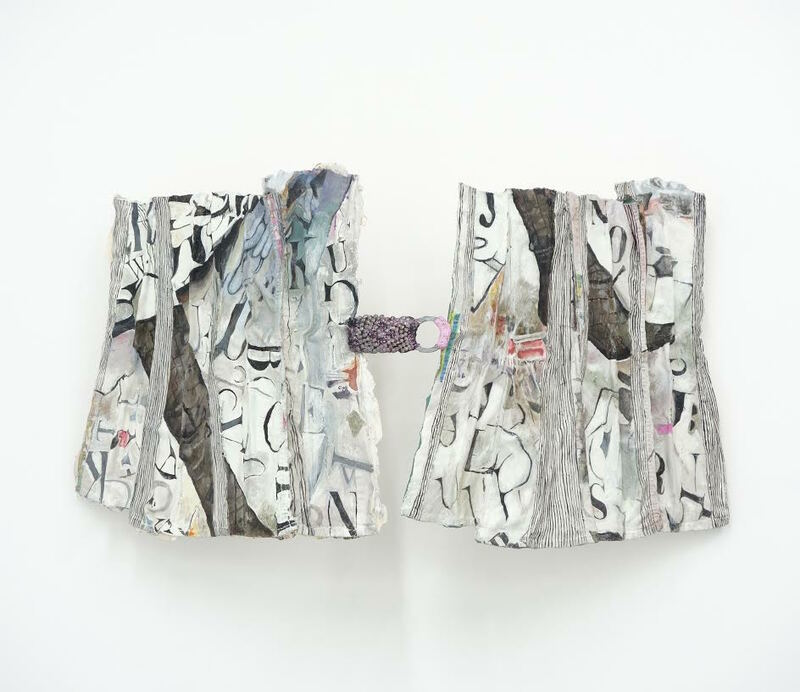 Complex sculptural works combine a range of materials, processes, and references into free-standing and wall pieces that reflect a new reality of fractured content, streaming from multiple sources and sites. Bret: I think Resort cofounder Alex Ebstein’s own explorations with yoga mats as a medium for painterly modernism over the last few years has sharpened her already keen curatorial eye for contemporary artists who attack abstraction with a curveball variety of media and ideas, as all four of Aurelia‘s artists do. 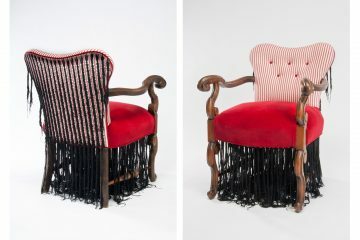 In some instances those works—such as Belkin’s embroidery and printer photographs, Grill’s sculptural fabric collages, Stober’s viscous painting treatment of single sleeve of a leopard print top as deadpan snide comment on neo-expressionism’s bro culture, and Tortora’s simply stunning small resin pieces—are quiet knockouts. 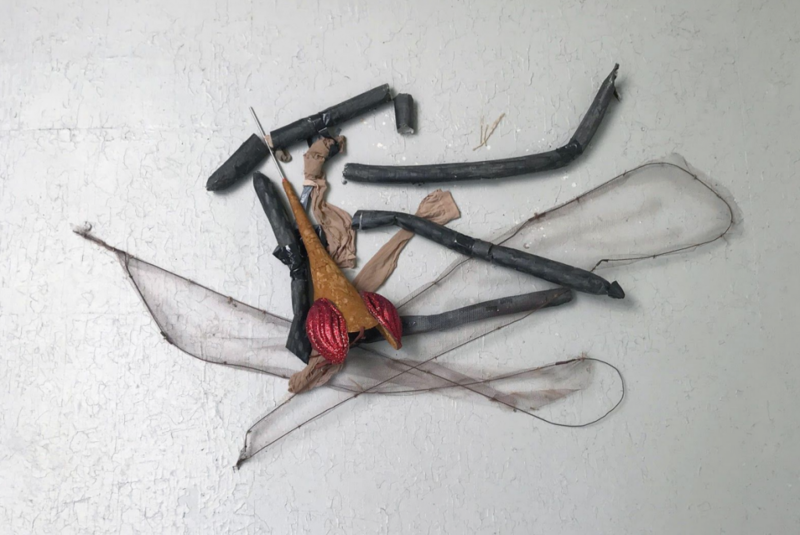 And don’t sleep on Maghazehe’s work in the front window, an installation that’ll make you worry there might be a racoon-sized mud dauber in the world, and anything that big is gonna have a fearsome sting. 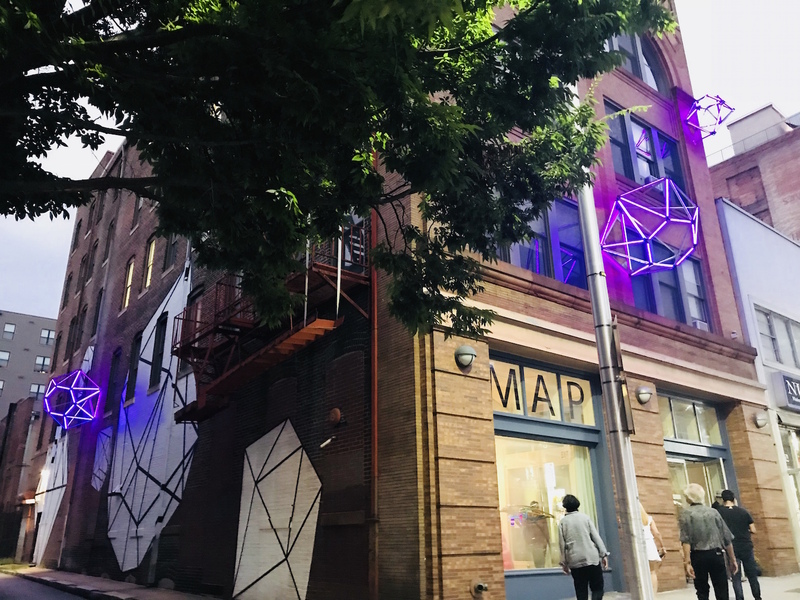 2224 North Charles St. | Baltimore, MD 21218 AfriCOBRA (African Commune for Bad Relevant Artists) was inspired by the Black Arts Movement, to expand the canon by creating artwork that speaks to the concerns of black people. 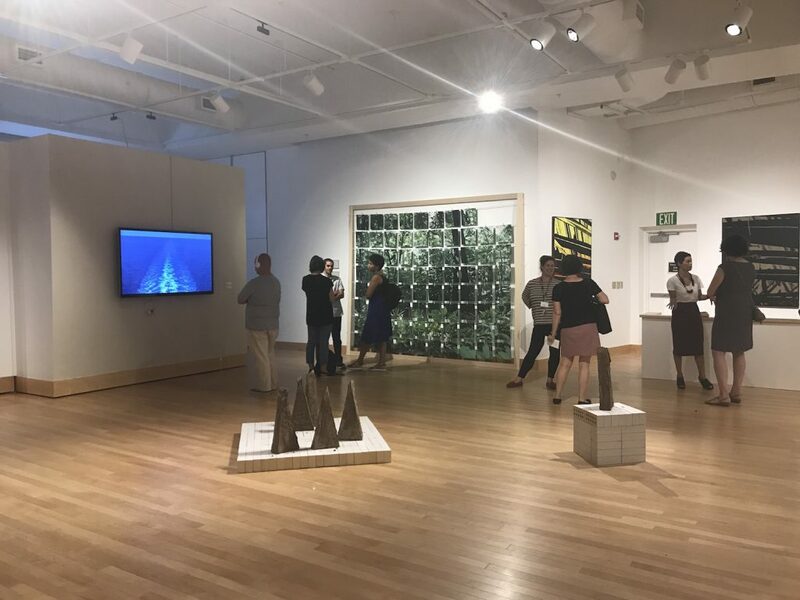 In exploring the evolution of their creativity, this exhibition features paintings, photographs, prints, and three-dimensional forms created from 1979 to 2018, by the group’s earliest to its latest members. Bret: AfriCOBRA is a snapshot look at a collective born in 1968 Chicago that has evolved into a vital contingent of contemporary artists in the five decades since. 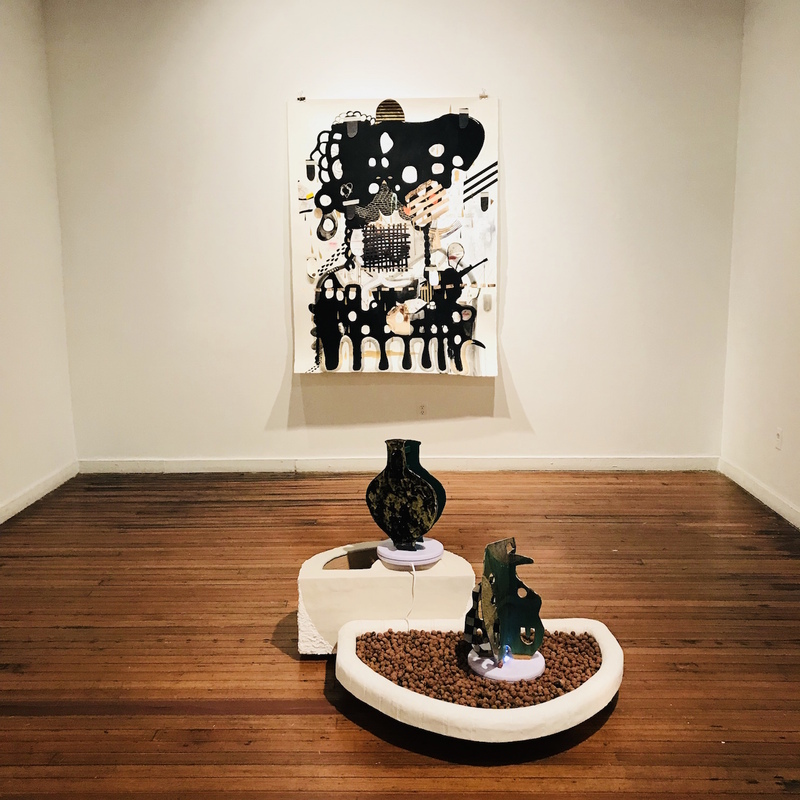 Individually, the works are stunning: a work by Akili Ron Anderson, James Phillips, or Renée Stout would stand out by itself next to any contemporary; as a group, they’re a powerhouse articulation of an ongoing visual, political, and intellectual enterprise. In Without Provenance: The Making of Contemporary Antiquity, Jim Sanborn offers a rare glimpse into the world of antiquities trade in Cambodia, a country whose cultural sites and heritage are subject to a global market of looted and forged artifacts. Now in its eighth year, the project includes over 20 sandstone replicas of 8th – 13th century Khmer sculpture masterfully produced to be indistinguishable from genuine artifacts. Sanborn posits that these works have their independent value and authenticity as “contemporary antiquities,” capable of affecting positive change in an industry shadowed by illicit and destructive practices. Cara: I always wonder about the validity of the ancient artifacts on display in historic museums, especially whether some of them are fabrications. If real, I question how they were sourced or found, and the legality of that process, knowing that if I ask anyone who works at the institution they will tell me all were ethically sourced and certifiably authentic. 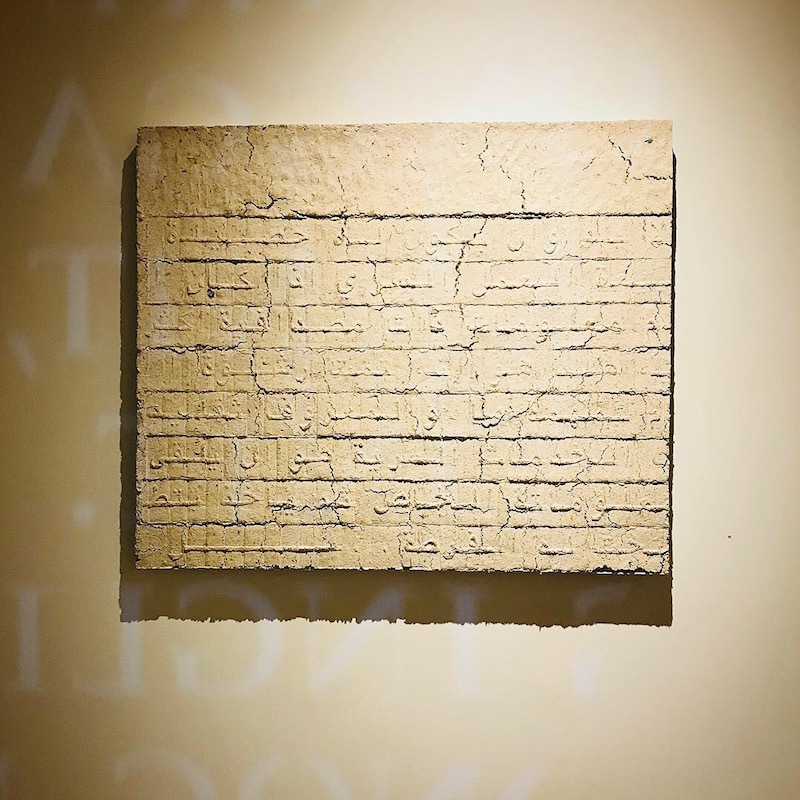 At the C. Grimaldis Gallery, Sanborn’s sculptural works are elegantly curated into a spare and didactic space that deliberately references the museum. I like that this show questions the widespread Western collection of historic Eastern artifacts, but through the actual objects on display rather than wall text. In Plunder, Sunburn offers buttery, subtly beautiful sculpture that you will definitely want to touch. Even though it’s made clear that the heads, arms, and feet on display are fabrications made by the artist, the strangest part is that I still find myself believing (or wanting to believe) they were found in the ruins of an ancient Cambodian temple. In an age of “fake news,” this show feels particularly relevant. 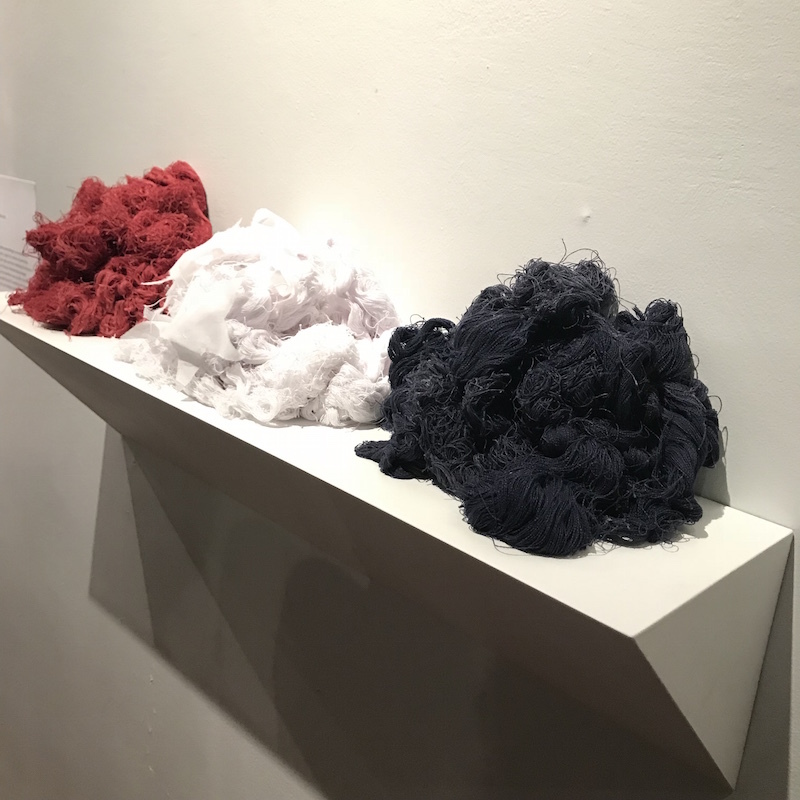 Curated by Doreen Bolger, this exhibition aims to enrich the visitor’s experience—and understanding of the arts and humanities—by encouraging viewers to look for greater variance and nuance in the meaning of materials. 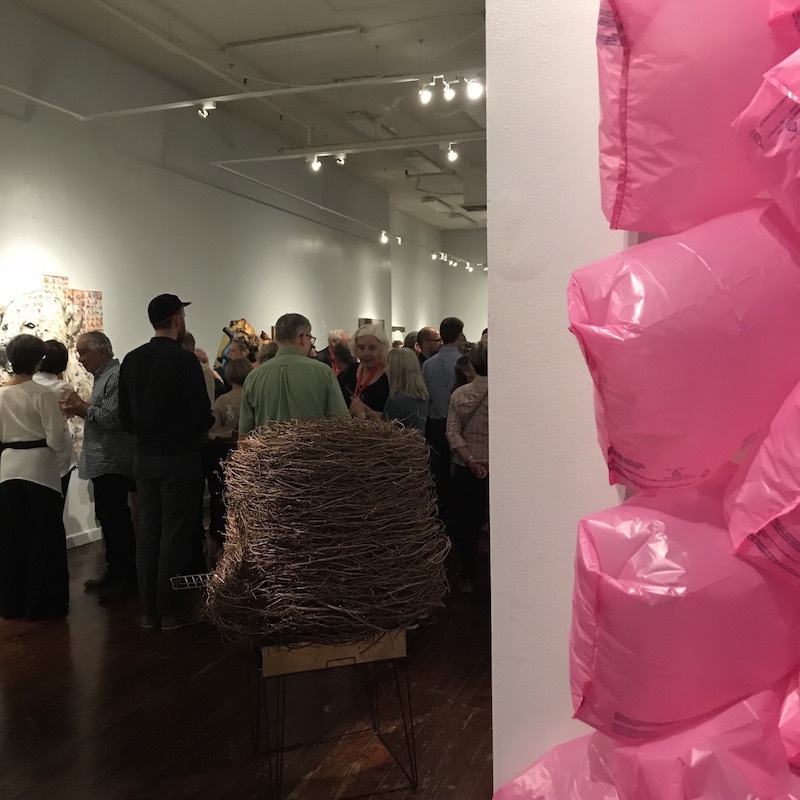 The choice of materials holds different significance for each artist, sometimes reflecting larger societal issues and at others, more personal interests, concerns, or priorities. Cara: The opening for this show felt like a grand homecoming. 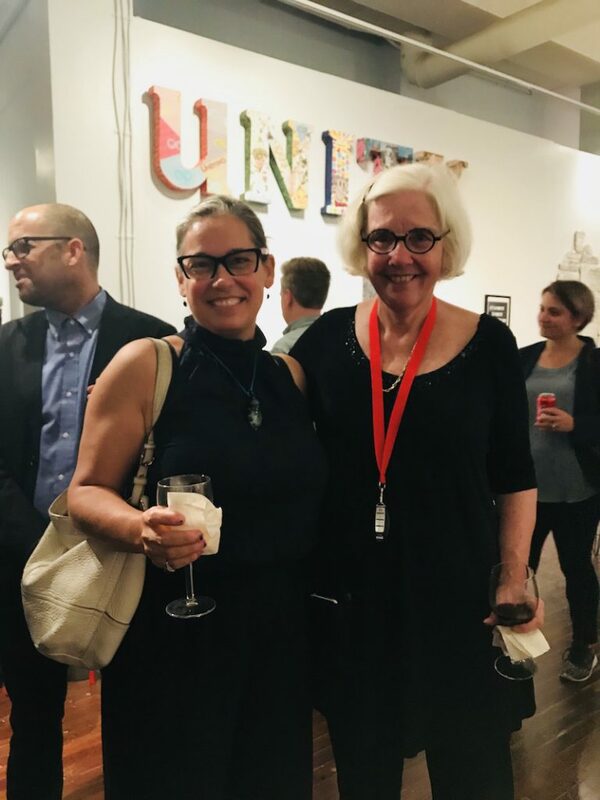 Jam-packed with work by forty or so Baltimore-based artists and curated by Doreen Bolger, a beloved community figure and former Director of the Baltimore Museum of Art, works run the gamut from abstract to figurative, from sculpture to photography. 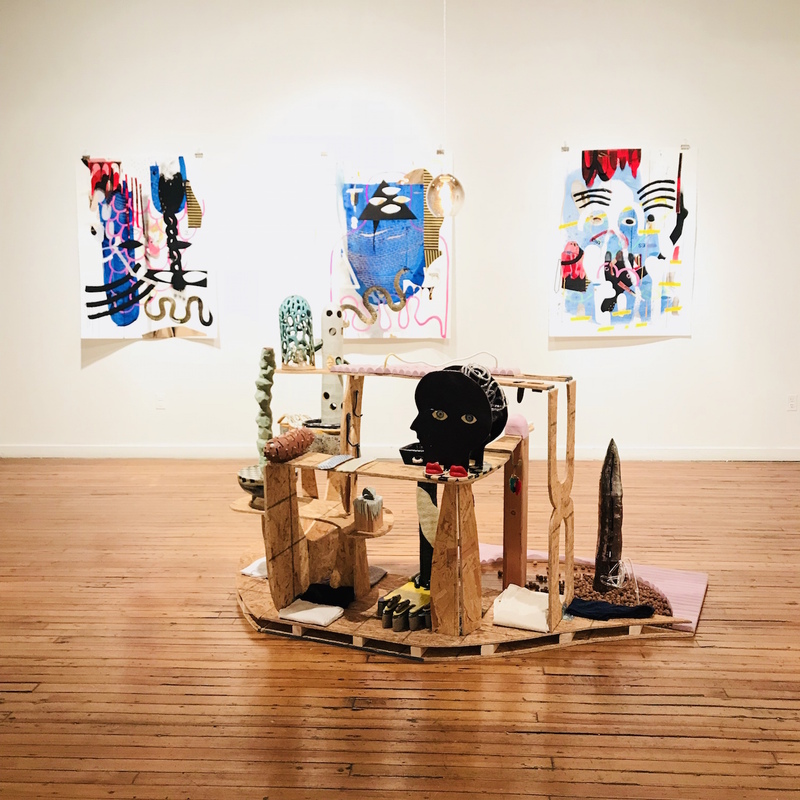 If you want a succinct sense of the past few decades of Baltimore-based art making, this is the perfect show to ground your local research, which was conducted by Bolger over the past few decades, exhibit by exhibit and relationship by relationship. This show really gives you the sense that Bolger knows (and loves) all of the artists included and put vigorous effort, as well as copious research, into their selection. 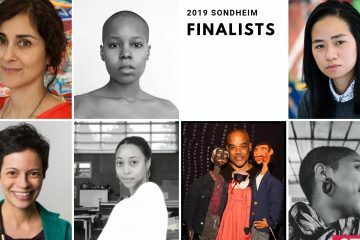 Standout sculpture by David Page, Maren Hassinger, Sonya Clark, Stewart Watson, Laura Amussen, Mina Cheon & Gabe Kroiz, and Minas with strong wall works by Andrew Lauman and Alice Gadzinski. Mono Practice is excited to announce its inaugural exhibition, Pointing To The Sun: An Exercise in Abstraction, curated by Rod Malin. 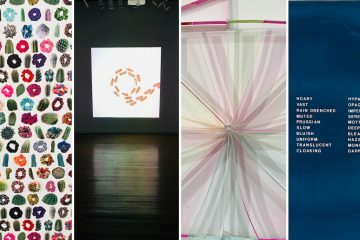 The exhibition features the work of David Brown, Zoë Charlton, Ariel Cavalcante Foster, Terence Hannum, Stephen Hendee, Bill Schmidt, and Ruri Yi. 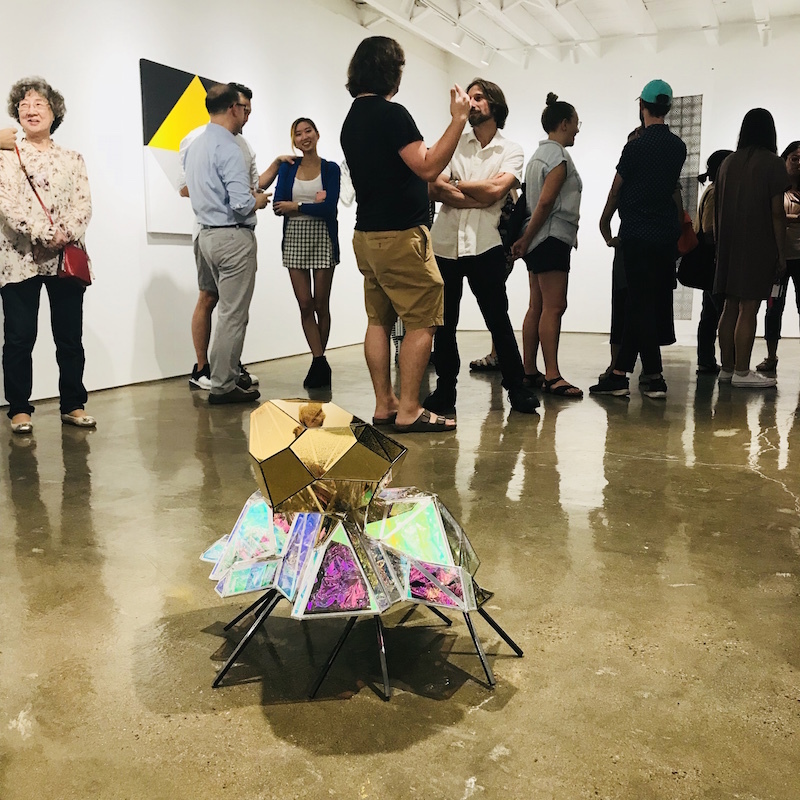 Bret: This gorgeous new gallery space spotlights a modest inaugural show featuring seven artists that’ll be familiar to local gallery goers, and a few pieces—from Zoë Charlton, Ariel Cavalcante Foster, Terence Hannum, and Bill Schmidt—quiet stunners. Cara: This is a brand new space in the Station North area, just renovated by artist Ruri Yi. Her studio is on one side and she lives upstairs with her husband. Although Baltimore has a long tradition of the multi-use ‘house gallery’ to mixed results, this space felt professional and exciting because of the gorgeous new concrete floors, a restrained curatorial aesthetic with a lot of white space, professional gallery swag, and minimal, mostly abstract works by mostly Baltimore-based artists. 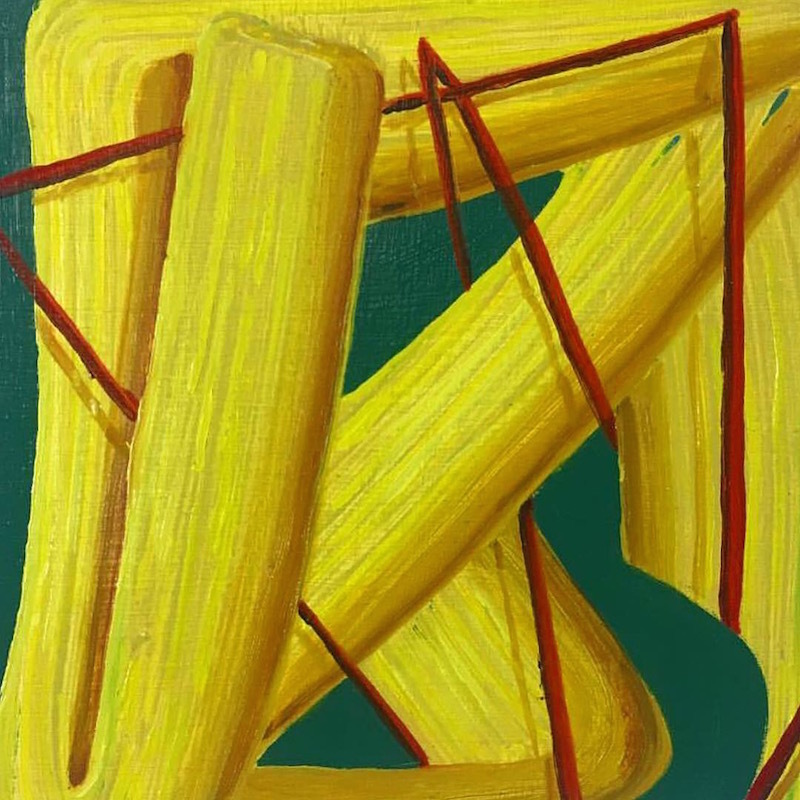 I love Yi’s quietly confident abstractions, which often float just one or two flat geometric shapes on unpainted linen – her studio next to the gallery is worth a visit. This first show was curated by neighbor Rod Malin of Guest Spot, a gallery down the block, and I am curious to see how Yi’s firm aesthetic translates into MONOPractice’s next few shows which, presumably, she is curating. 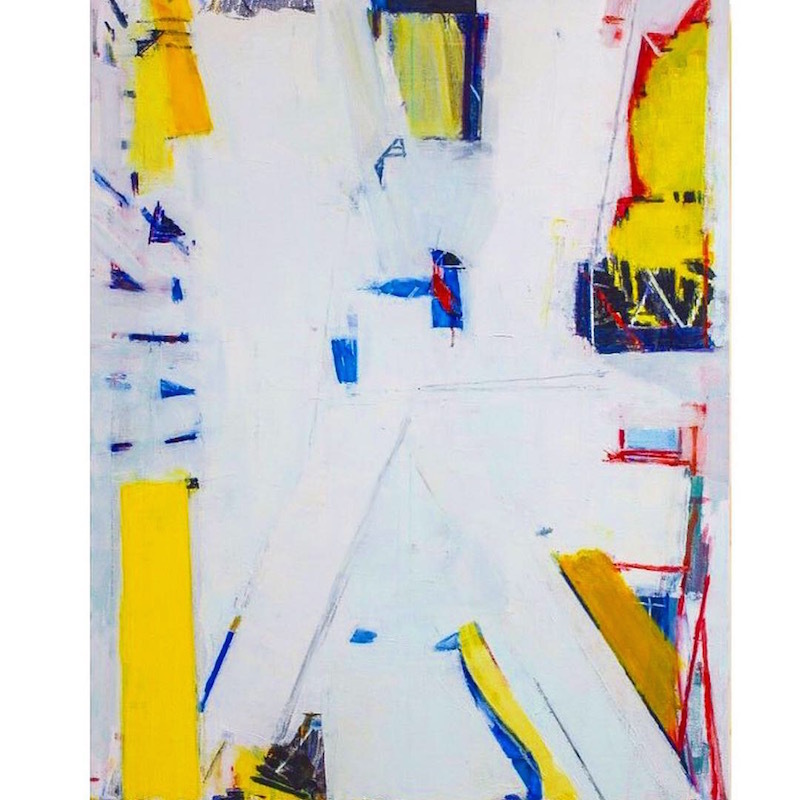 Educated in the formalist-modernist tradition, Madeleine Keesing began her practice in the late 60’s- early 70’s, and was clearly aware of both the Feminist and the P&D movements. In the succeeding years her style evolved to include a method of laborious material application whereas she carefully positioned small droplets of paint in repetitive rows. Sally Egbert (b. 1958) has resided in East Hampton and Manhattan since the 1980’s. Her luminous abstractions have been termed lyrical, ethereal, of the earth, and harmonious. 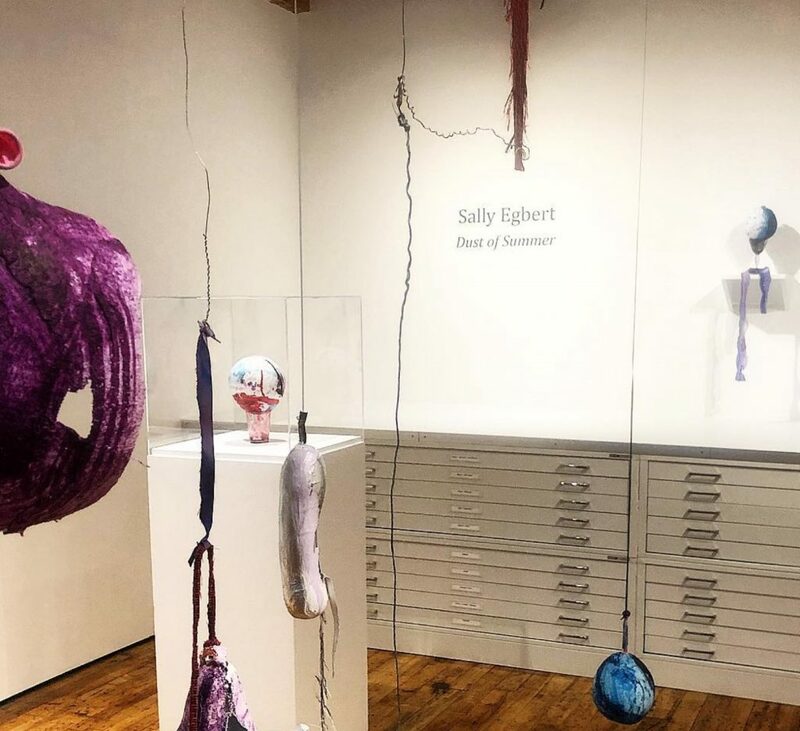 Egbert herself has expressed, “My work is about openness, flatness, and emptiness, if not experimentation and discovery” while acknowledging the influence of the fields, clouds, sea, beaches in summer, and bareness of winter on Long Island. 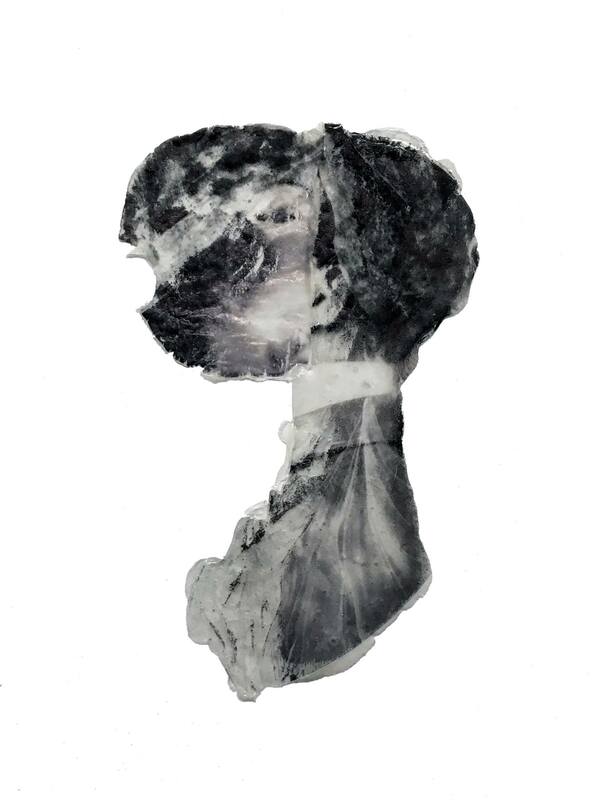 Cara: I love abstract work whose meaning is synonymous with process. 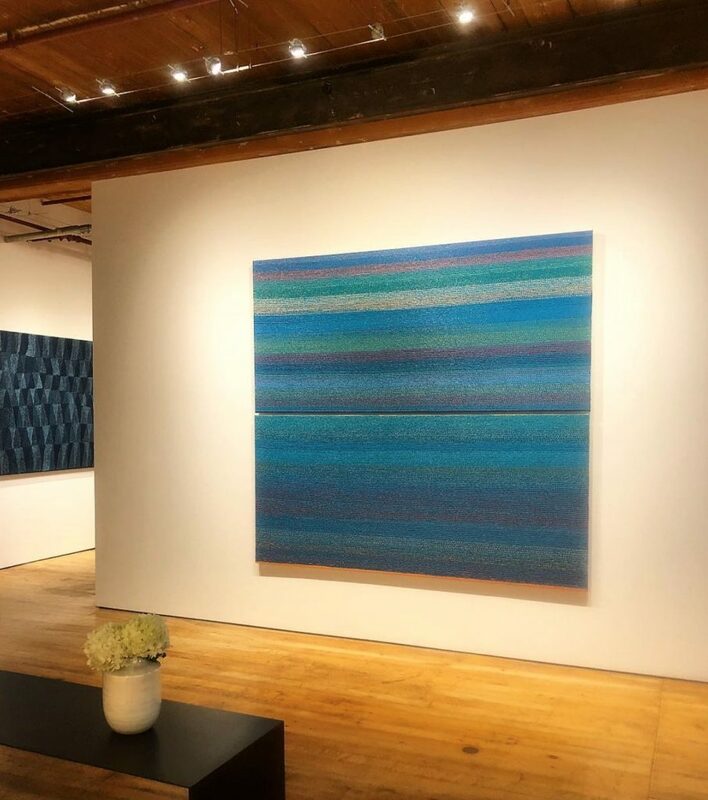 Both of these solo shows by women rely on materials, repetitive and meditative process, and color for content. 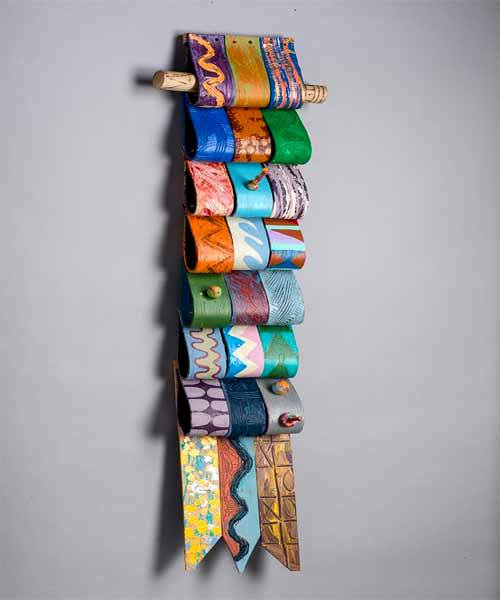 The work is soothing and earthy, quiet and contemplative. Keesing’s paintings make me want to do yoga. And I am horrible at yoga. And Egbert’s installation in the back gallery is like physically embodying one of her wonky, whimsical, yet somehow fleshy paintings. Limoncello: Mary Anne Arntzen, Tom Burckhardt, and Sangram Majumdar at St. Charles Projects up through ?? we are not sure. Let us know? 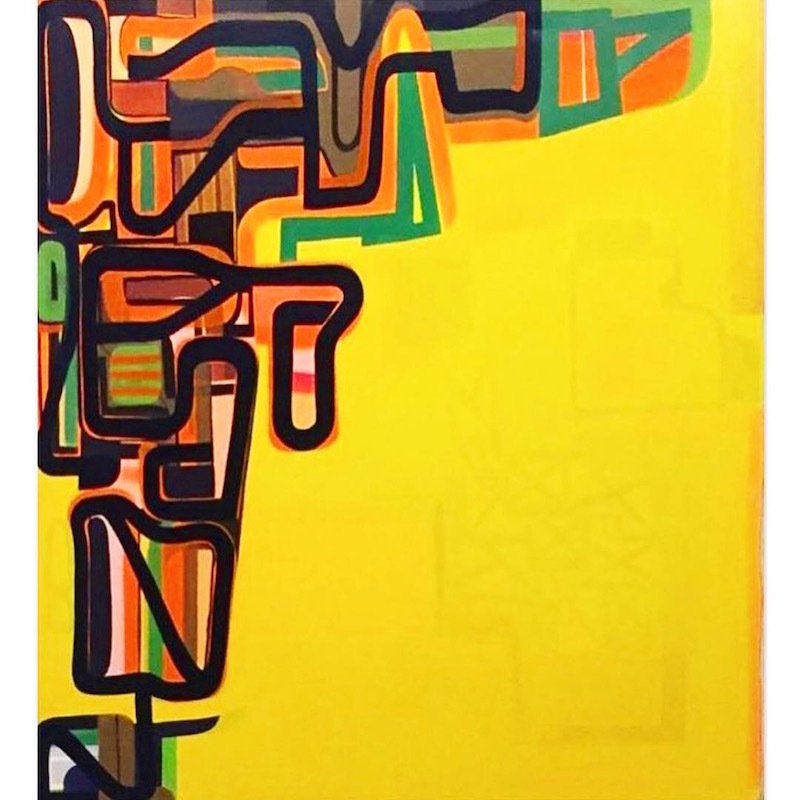 Three artists explore meaning, metaphor, and flavors of yellow in their paintings. Cara: All three are fantastic, established painters and the color yellow deserves some love. Also, a shot of limoncello brings back memories of happy times in Italy, so what’s not to like? 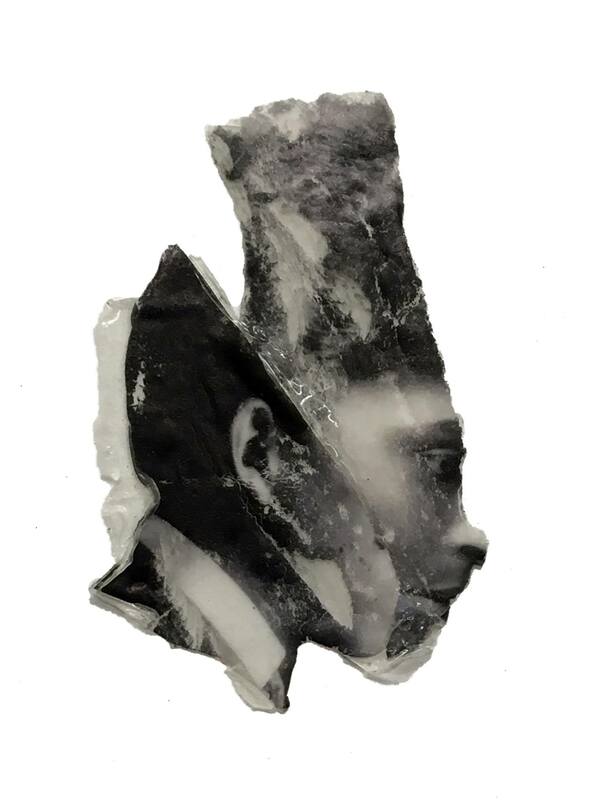 Theme and Variation is an exhibition of photographic collages that are based on re-imagining studio portraits of middle class African Americans from the Exhibition of American Negroes organized by W.E.B. Du Bois and Thomas Calloway for the 1900 Paris World Expo. Cara: Antonio’s work is a visualization of American history through an intimate lens. 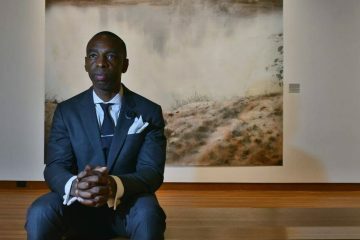 Not only does he present historic portraits of wealthy and cultured African American subjects that are searingly rich, he manages to preserve this quality while transforming the photos into new, completely contemporary objects that have a life of their own. This work makes you catch your breath and look twice, and a third time. Through haunting imagery and curiousity-inducing materials, the artist presents a visual addendum to US history that deepens one’s understanding of the inadequate history lessons we’ve all been given in this country.